An accident can be quite a nerve racking experience. Getting your automobile fixed does not have to be. We will assist you with everything from filing a claim with your Insurance company to getting you a car rental while we work on your car. We will go over your car with the insurance representatives in an effort to make sure no detail is overlooked. This will assist us in returning your car to pre accident condition. We will also pick up and deliver your automobile if you wish. Tristar Collision is a member of the I.C.B.C. c.a.r accredited collision repair program. Our employees routinely upgrade their skills through I-c.a.r (ICBC) accredited courses. The following information is provided to help you with the steps involved, and the information needed, when you call Dial-A-Claim to report an accident to ICBC (1-800-910-4222 or www.ICBC.com). The information below is taken from ICBC’s (How To Make A Claim). Any contradiction, dispute or difference between the contents of this web site and the legislation governing insurance and motor vehicles shall be resolved only by reference to the appropriate Acts or Regulation. Record information about the accident to refer to later. Draw a small diagram of where your vehicle was and which lane you were using. Do the same for the other vehicle. Draw arrows to indicate each car’s direction of travel and show the distance to the nearest intersection. Obtain information from the other driver: Name, Phone Number, Licence Plate Number, Year and Make of the vehicle involved and the name, phone number and address of any witnesses. If your vehicle can’t be driven from the scene, call a tow truck and have your vehicle towed to a place where it can be stored securely. If you have ICBC Collision coverage, or if the other vehicle’s driver is responsible for the accident, towing and storage charges form part of your claim. It is mandatory for all hit & run accidents to make a police report. The police will give you a police file number that you will need when you Dial-A-Claim or file your claim online. .
ICBC may request you to supply a sworn affidavit ICBC will examine your vehicle, and may visit the accident scene and interview witnesses before settling the claim. Make your police report within 24hrs if the accident happened in the city; 48 if it happened in a rural area. If you are injured and can’t file a police report, another person must do it for you. Don’t wait. For your safety, if you witness someone tampering with or attempting to steal your vehicle do not directly intervene Call 911 immediately and try to get a description of the person or persons involved. If you did not witness the incident, ask anyone in the area if they had seen anything. It is a good idea to report these claims within 24 hours and make a police report if instructed to by your insurance adjuster. If your vehicle has been stolen phone 911 immediately. Have your Licence plate number and a description of your vehicle ready for the officer who answers your call. Once you have a police file number you can call your insurance company who will then advise you of your options depending on the type of coverage you have. Call Dial-A-Claim at 1-800-910-4222 or if you have Internet capabilities you can file your claim online. Have your registration ready, accident information, police file number, and driver’s license of both yourself and the other driver involved. Dial-A-Claim hours: Greater Vancouver: 7:30am to 6:00pm Monday to Friday- Saturday: 8:00am – noon. Set an appointment at the claim center if your car is drivable. If you have qualified for the ICBC express repair program you can call an ICBC Express Valet shop and make an appointment to have your vehicle estimated. If the car is not drivable, ICBC will arrange with you the towing of the vehicle to a shop of your choice. After choosing your shop, you can arrange for alternate transportation. Call you private Insurers Claims department. Have your Registration and Policy numbers, accident information, police file number, and drivers licence of both yourself and the other party(s) involved. Name the shop of your choice to the telephone agent. At this time the agent will either advise you to have the repair shop of your choice do the estimate and fax or email it to them or they will assign a private appraiser to complete the estimate at your house or the shop you have chosen. Phone your repair shop and advise them that you have made a claim and with which insurance company you deal with. Note: Most Private Insurance companies have “preffered” repair shops designated by geographical locations or other reasons. Your private insurance company may require you to have your vehicle estimated at a “preffered” repair facility. As the registered owner of the vehicle may have your vehicle repaired at any repair facility you choose. Take your auto and estimate form to the repair shop of your choice. Make sure you are not going to have to pay extra. You will have to pay extra for any work you approve that is not outlined on the ICBC estimate form. No repair should be made without prior approval of an ICBC claims adjuster. If you are satisfied with the work, sign the Claim Estimate Form. You may have to pay the repair shop the amount of your policy’s deductible before they will release your vehicle. If you feel the deductible and/or other claims related charges should be waived by ICBC it is a good idea to have this sorted out with your adjuster before you arrive to pick up your repaired vehicle. ICBC will give you an Express Qualified claim number. 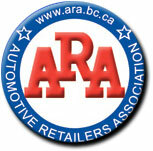 Select and phone an ICBC Car Shop Valet Participant from the list provided by ICBC. Have your claim number, registration number and damage details ready. Make an appointment to have your vehicle estimated. In some cases you may be able to leave your vehicle for repair at the same time. If parts are to be ordered you may have to make another appointment to have the repairs completed.